You can play several LCD games in your browser, including a global high-scores list. Playable include Highway, Sea Ranger, Mario Bros, Donkey Kong II, Tom's Adventure and Jungle Kong. Impossible Snake 2 was just published on the Coolmath-Games.com website. This sequel has more levels, enemies, obstacles and challenges, try the game now. Impossible Snake 2 demo released, you can play it here. This is the sequel to Impossible Snake and has more levels, enemies, obstacles and challenges. Impossible Snake was just published on the Coolmath-Games.com website. 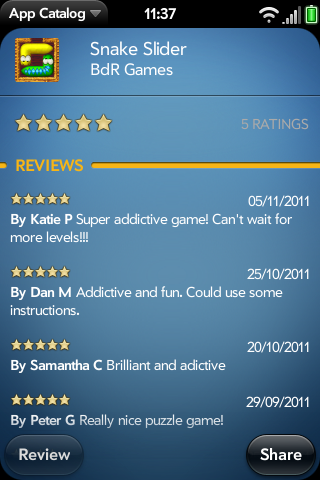 Players seem to find level 6 especially difficult, try the game now and see if you can beat it. Impossible Snake is an insanely difficult one button snake game. 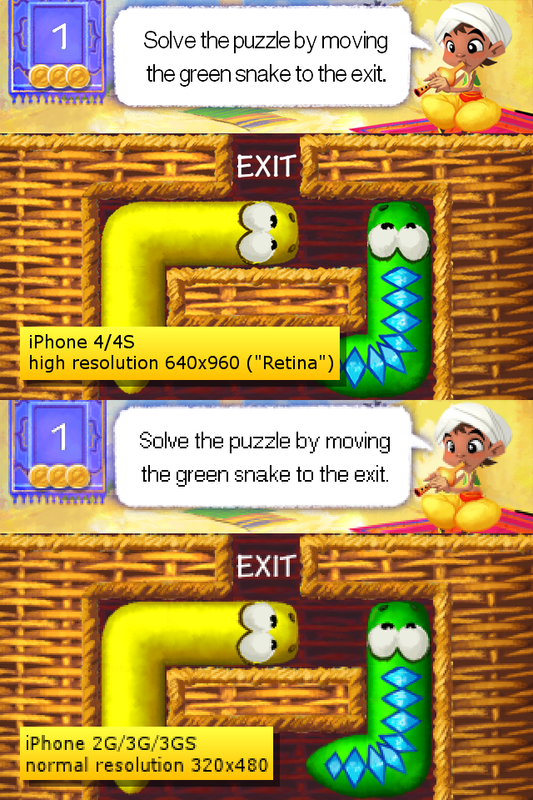 Navigate the snake through increasingly difficult mazes, also include VS mode where 2 players can compete. Released for Android and as webgame on Kongregate. Snake Slider is now available as HTML5 game. Overall the game is the same as the iOS and Android games, with only some minor changes. The menus and tutorial have more animation and the level order is different. Block Movers was released. It is Blox Slider modified at the request of FunnyGames using graphics of another game. Blox slider was released, a block sliding puzzle game with excellent artwork and illustations by Delfo Pinto. Find the Difference was updated. The update adds new photos, an about screen and uses a newer library for (hopefully) better performance. Tap-Tap Submarine is an original new one-button action game. Collect coins, rubies and treasures but look out for mines. This is a first release and more features will be added later updates, like more levels and new enemies. It is now available for free from the Play Store. Find the Difference was updated. The update adds new photos, a hints button, new scoring system with time bonus, animations and small bugfixes. Find the Difference is now available for free from the Play Store. Each photo is carefully edited and contains many predefined differences. Each round the game selects 5 random differences so no two rounds are the same. It's a first release and more features will be added later updates, for example hints and different gameplay modes. Break The Code is now available for free from the Play Store. It's been a long time since the last update as I've been looking into a different way to creating apps. From now on, any new apps by BdR Games will be free to play instead of paid apps. Snake Slider Lite had already been released a while ago, but the app had some issues on the Android platform. These have been fixed and you can now play the Lite or full version of Snake Slider on devices from Samsung, HTC, Motorola, Asus and what have you. Another small update for Snake Slider and Snake Slider Lite today with a Czech translation and a few puzzle tweaks. This goes for the iPhone/iPad apps as well as the Palm Pre/TouchPad apps. A small update for Snake Slider and Snake Slider Lite today with some sound, animation and puzzle tweaks. Today the iOS, and earlier the WebOS version, of Snake Slider was updated. New in this version is a Red carpet with 25 new puzzles. You can also check out the puzzles here. Both the iOS and WebOS versions of Snake Slider and Snake Slider Lite were updated. to see the solution of a puzzle. 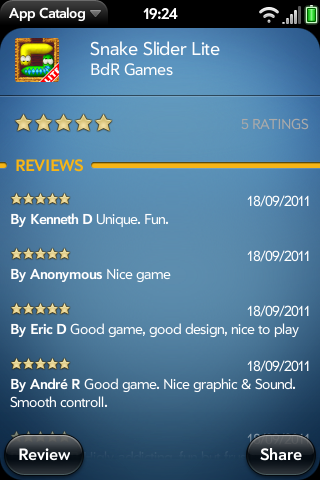 My first mobile game, Break The Code, is now also updated to include TouchPad/Pre3 and iPad/retina support. Get the WebOS version from the App Catalog or check out the iOS version on the App Store. Finally, TouchPad and Palm Pre 3 support is now available in the WebOS version of Snake Slider and Snake Slider Lite. The Apple iOS version was updated earlier this week. An improved font and a Portuguese translation were added to both WebOS and iOS versions. Also, some of the levels were tweaked and optimized, so some puzzles now have fewer goal steps. The iPhone/iPod/iPad version of Snake Slider and Snake Slider Lite also had a 'big' update today. The update adds proper support for iPad, the French translation and 25 brand new puzzles. There were some problems when running on the TouchPad, hopefully this can be fixed in the next update. For now, the app is not available for TouchPad. The WebOS versions of Snake Slider and Snake Slider Lite have had a 'big' update and TouchPad is now also supported. Furthermore, the French translation was added as well as 25 brand new puzzles in the extra hard Orange puzzleset. Today the WebOS versions of Snake Slider and Snake Slider Lite were also updated. The update adds multi-language supporte for English, German, Italian, Spanish, Dutch, Danish, Hungarian, Polish. I'm pleased to say that Snake Slider Lite for WebOS passed the 10.000 downloads mark as of today, and judging from the user reviews people really seem to enjoy the game. Snake Slider and Snake Slider Lite for iPhone/iPod Touch were update today. The update adds retina-support (high-resolution) and multi-language. Supported languages are English, German, Italian, Spanish, Dutch, Danish, Hungarian, Polish. The app will initially set the language based on your iOS language, but this can be changed in the options screen. The multi-language update for WebOS will also follow soon. The iPhone/iPod Touch version of Snake Slider is now updated properly. 100 brand new puzzles and some graphics tweaks, it almost seems like a professional game now. 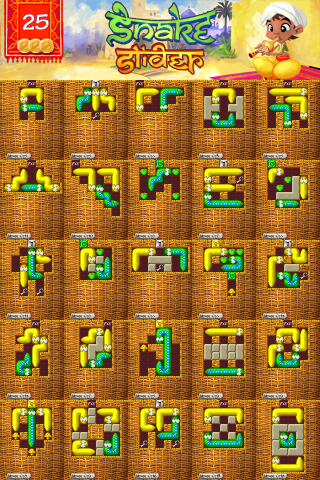 A new version of Snake Slider was released today for the Palm Pre, adding 25 new puzzles with keys and locks, bringing the total to 100 puzzles. Also some graphics were slightly improved and some puzzles have fewer goal steps. 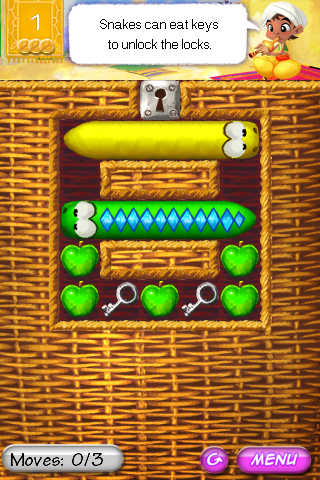 The Snake Slider Lite update also contains some graphics and puzzles improvements. Please note: The iPhone version of Snake Slider was also updated but unfortunately, due to a bug in Xcode, it contains an older version of the puzzle sets (for a quick check, in the correct "4.Yellow" set puzzle nr 1 should look like this). An update with the official new puzzles will follow as soon as possible. Snake Slider Lite was also released for HP's WebOS today, and it already has had quite a few downloads and positive user feedback :) Get it on the games page or go here. Snake Slider is also released for HP's WebOS today. Get it on the games page or go here, the Lite version for your Palm Pre or other WebOS devices will follow in a couple of days. Break The Code and Triple Dutch are released for HP's	WebOS today. So for those of you with a Palm Pre device, you can find the apps on the games page with the new WebOS App Catalog buttons on the games page, or go here: Break The Code, Triple Dutch. Snake Slider was updated today, adding 25 new puzzles. The new puzzle set adds the sliding block element. Snakes can push blocks around with their heads or tails, but they can push only one block at a time. Snake Slider Lite was also released today, so you can try the game for free, and Triple Dutch has had an update adding more puzzles. Snake Slider is an innovative new puzzle game with graphics created by Amblagar Studio from Argentina. The game is available as of today and the website has had a little face-lift for the occasion. There were some AppStore troubles, possibly due to the recent AppStore update. New and updated apps were not available the last few days. But it seems that Apple has got everything working again now. Triple Dutch is free for a limited period, in collaboration with the AppEvent-action in may! Triple Dutch was updated to version 1.1 today, adding 15 new cheese puzzles. You can get the game from the App Store. Finally, the first of the 'bigger' games was released today. Triple Dutch for the iPhone/iPod Touch is a puzzle game. It consists of three separate games based around typical Dutch themes; windmills, flowers, cheese. You can get the app from the games page. A free version will also be available soon. The first update in a looong time. The very first game by BdR Games was released last friday. Break The Code for the iPhone/iPod Touch is a classic mastermind clone. It won't exactly break any new ground but hey, you've got to start somewhere. You can get the app from the games page. Also, the website layout had a little update for the occasion. Nothing to see here just yet. Snake Slider - Gotta Solve It! Copyright © 2016 BdR Games. All Rights Reserved. Designed by Free CSS Templates.